APPLICATIONS: EPDM bonded 20 gauge 304 Stainless Steel flashing and termination washers for use with 5/8" OD Anchors / Spikes etc. 5/8 in. 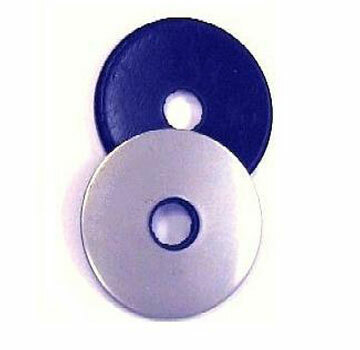 ID x 1-3/16 OD (ID fits 5/8 fasteners) 20 Gauge Hot-Dip Galvanized Steel with Bonded NEOPRENE Rubber Washer (oil resistant). 200/Bag. Price/Bag.